The murder of journalist Jamal Khashoggi has forced lobbyists and PR professionals representing Saudi Arabia to re-evaluate their relationship. But even as a handful of firms terminate their contracts with the kingdom, dozens remain on the Saudis’ payroll. In total, the Saudis have spent $76.9 million on lobbying over the past decade. According to Bloomberg, at least 18 of its lobbyists are sticking with the relationship. "To some extent, supply and demand is supply and demand," said Steve Schmidt, former vice chair of Edelman public affairs. "If you go back to representation of the Russians, typically that was executed by a single firm. The Saudis spend so much money on lobbying in Washington, D.C., and on their public image, that literally they’re a full-employment client." PRWeek relied on a combination of media reports, public documents, and agency staffers to understand the scope of Saudi Arabia’s spend on advocacy efforts, but it’s still a fragmented picture. Documents from the Foreign Agents Registration Act paint a incomplete picture. Disclosure requirements for FARA are only loosely enforced. The Center for Responsive Politics estimated Saudi Arabia spent $5.9 million on lobbying in the first half of 2018, relying only on supplemental statements, which are filed every six months. These filings disclose payments received and clients acquired and terminated. Most agencies registered on FARA have not reached the end of their six month cycle, making it difficult to assess exactly how much Saudi Arabia has spent on lobbying and comms. "Spending can be reported in the initial contracts, so we know those registrants are doing work for Saudi Arabia, or at least have agreed to, but they haven’t reported receiving any payments yet," said Anna Massoglia, a researcher at the Center for Responsive Politics. More than half of the Saudi agencies either didn’t respond to requests for comment or declined to comment on the record for this article. Only six organizations have walked away from the Saudis following the murder of Washington Post columnist Jamal Khashoggi. The Harbour Group was first out the door, but it wouldn’t be the last prominent lobbying group to drop a lucrative contract with Saudi Arabia. In the days and weeks after, Saudi bled more lobbyists on its payroll, including: Gladstone Place Partners, Glover Park Group, BGR, Gibson, Dunn & Crutcher, and, most recently, Portland Communications. Portland is the only agency to specifically say it wouldn’t renew its relationship with the Saudis. After fulfilling its work for Alwaleed Philanthropies on October 3, 2018, Portland ended their contract, according to FARA. Portland had to file as a foreign agent because Alwalweed’s secretary general is Princess Lamia Bint Majed Al Saud. Partner Noah Black said the agency’s decision was not based on the news about Khashoggi, who went missing on October 2. He said it was because Portland had already completed its work for Alwalweed supporting its efforts at the 73rd U.N. General Assembly in New York City. Christopher Harvin cofounded Sanitas International, which has represented the Hungarian government, the Azerbaijani government, and other foreign entities. "When you’re in the business of representing a foreign client, you have to build trust with them," said Harvin. "All our clients we work with, we project their brand and they have an impact on our brand, our reputation, [and] other clients. Some of these agencies have corporate clients that don’t understand foreign work, so that weighs into deciding who to let go." Three agencies have publicly disclosed they’re standing by Saudi Arabia. Brunswick Group will continue to handle financial communications for ARAMCO, as the state-owned petroleum company prepares for what is expected to be a $100 billion IPO, according to a spokesperson. This does not involve any government work, he added. Brunswick took over handling the IPO from FTI Consulting. A person familiar with the transaction said FTI stopped representing ARAMCO in 2017. 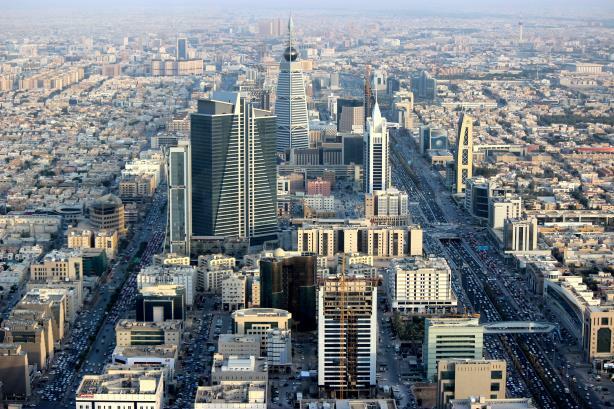 Brownstein Hyatt Farber Schreck is continuing its representation of Saudi Arabia’s Ministry of Foreign Affairs, according to The Denver Post. The lobbying group is being paid a $125,000 monthly fee for its policy counsel around the Justice Against Sponsors of Terrorism Act. That contract was signed in July 2018. A spokesperson with law firm Gowling WLG confirmed it works for Saudi Arabia’s Ministry of Energy, Industry, and Mineral Resources. "[It’s] exclusively to advise on a potential agreement with the United States concerning peaceful uses of nuclear energy and legal matters regarding the development of a commercial nuclear program within Saudi Arabia," a spokesperson said. The expiration date of this contract is set for May 31, 2020. Some foreign agents that fulfilled their contracts left open the possibility of continuing work for the Saudis. SouthFive Strategies was subcontracted to support the Muslim World League conference in New York, which took place October 4-5 this year. "The agreement covered the period between September 27 and October 26," said SouthFive president Jason Epstein via email. "A renewal of the agreement has not been discussed." "If the Muslim World League sought additional assistance in promoting interfaith and intercultural dialogue, SouthFive would be pleased to help," Epstein added. The lead agency on the account, SAPRAC, couldn’t be reached for comment. In 2017, Daniel J. Edelman Holdings supported the Saudi Arabian General Investment Authority to "advance various Saudi economic development initiatives" and handled editorial content as well, according to FARA documents. This involved Edelman trying to secure stories in Boston healthcare media and national media to "highlight Saudi Arabia’s healthcare reforms, as well as placement of an opinion piece in Site Selection magazine by Saudi Arabia’s Health Minister," FARA documents state. An Edelman spokesperson said via email the work was "completed in May of that year. The Middle East business continued to support SAGIA until Dec 2017 with internal communications." He declined to say if the firm would sever ties with the kingdom completely. "We assess each opportunity on a case-by-case basis and we can’t really comment on what we would or wouldn’t do on the basis of a hypothetical question," he said. Saudi lobbyist Richard Hohlt is contemplating retirement, according to the Center for Public Integrity. Hohlt, who serves on the President’s Commission on White House Fellowships, said his 71st birthday prompted him to start "the process of reevaluating my representation, my participation, and retirement." He didn’t respond to a request for comment from PRWeek. Hired in 2016, he provided comms and government relations counsel for the embassy and the government, according to FARA filings. Qorvis Communications has represented Saudi Arabia since late 2001 following the September 11 terrorist attacks. Of the 19 hijackers involved in the plot, 15 were Saudis. Qorvis is being paid a monthly retainer fee of $279,500, in addition to project work involving research and events management. The MSLGroup agency told Bloomberg it was continuing to monitor the situation: "We remain very concerned about the circumstances regarding the Kingdom of Saudi Arabia and Jamal Khashoggi. It’s a quite serious situation, and we continue to follow it closely." FleishmanHillard started working for the King Abdullah University of Science and Technology more than a decade ago, assisting the global promotional effort before the school was even constructed. FleishmanHillard senior account executive Diala Demashkieh said it’s no longer representing the university after finishing a project earlier this year. Demashkieh helped coordinate the Innovation for Impact Forum, which took place on March 24 at MIT. For its work, the Omnicom agency was paid $132,050 for comms activities it undertook from November 1, 2017, through April 30, 2018. A FleishmanHillard spokesperson declined to comment on when the relationship was officially terminated or if it would continue working with the university and the Saudis. Shockwaves from the Khashoggi story travelled beyond the U.S. PR agencies with presences in Europe have also taken flak for their work for Saudi Arabia. Prior to its merger with Burson-Marsteller, Cohn & Wolfe started representing NEOM in 2017 as its global partner, while entities of WPP’s Y&R arm were tasked with branding and strategy, according to a source familiar with the matter. NEOM is a $500 billion futuristic city project meant to diversify the country’s economy. That same year, Politico reported Burson-Marsteller promoted the Islamic Military Alliance campaign, a counter-terrorism effort led by Saudi Arabia. Neither BCW nor WPP responded to requests for comment for this article. An investigation by The Guardian named Freud’s, CT Group, Pagefield Global Counsel, Milltown Partners, Kekst CNC, and Consulum as PR companies that have supported the kingdom’s comms initiatives. Freud’s and Pagefield said they no longer worked with the country. Milltown wouldn’t confirm any past work for the Saudis, but said it had no current contracts "in the region." Kekst CNC said it hadn’t worked with the Saudis since the start of this year. Consulum is staffed by veterans of Bell Pottinger, the firm behind the alleged "state capture" campaign in South Africa. WPP’s Richard Attias & Associates was named as the firm responsible for organizing the Future Investment Initiative, an annual investment forum held in Riyadh last weekend that saw an exodus of attendees and partners following the execution of Khashoggi. The holding company came under immediate scrutiny. In addition, Politico named H+K Strategies and FleishmanHillard as past PR operators for Saudi Arabia in Brussels. Fleishman said it doesn’t handle any work for the Kingdom in Brussels. H+K, which won a contract to work for Riyadh-based ACWA Power, said it doesn’t represent the electricity company in Brussels either. APCO’s Brussels office worked for the Saudi Ministry of Culture and Information in 2017, according to Politico. APCO also opened an office in Saudi Arabia in May 2018. An agency representative didn’t respond to requests for comment.